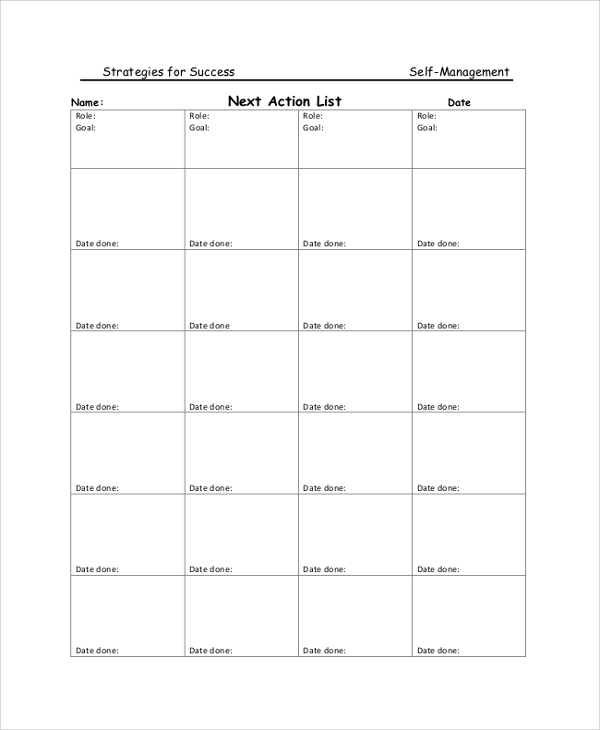 Every activity that we do in everyday life, we need to plan and form a list. 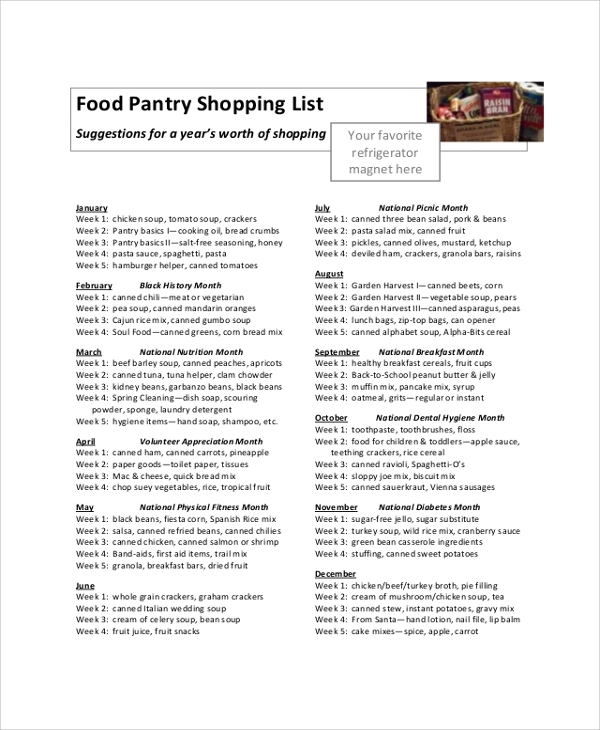 It is often found that such list miss out essential ingredients and items without which the task would be incomplete. It is, therefore, very important to opt for sample lists which are ready-made list prepared according to the occasion such as travel, tasks, dinner, lunch, wedding, marriage and everything else. All one needs to do is to stick to the list and keep on tick marking once a particle job is done. 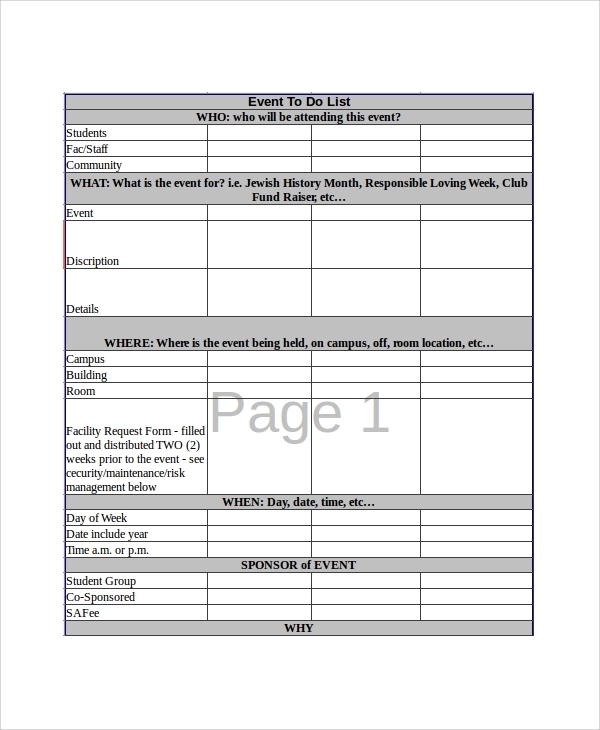 This sample action list contains all the provisions for a project and event management. 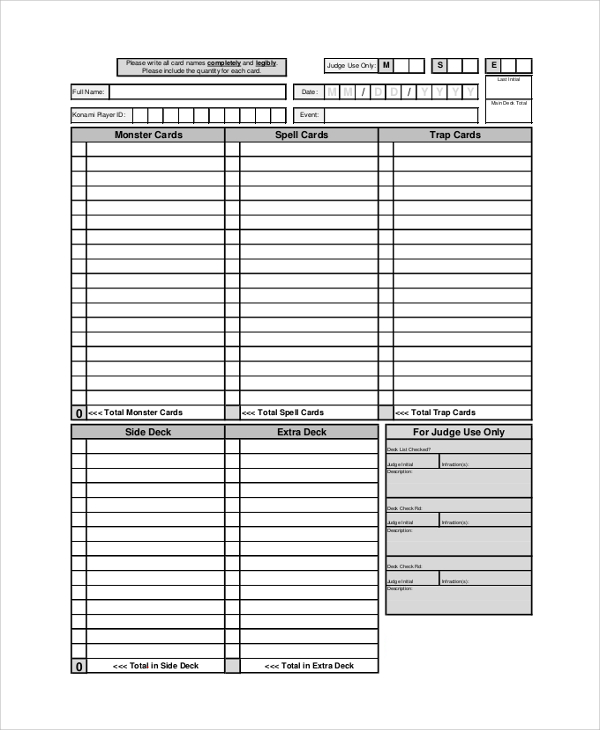 It is in tabular format containing headings such as description of the actions, target date, role and responsibilities and the current status. 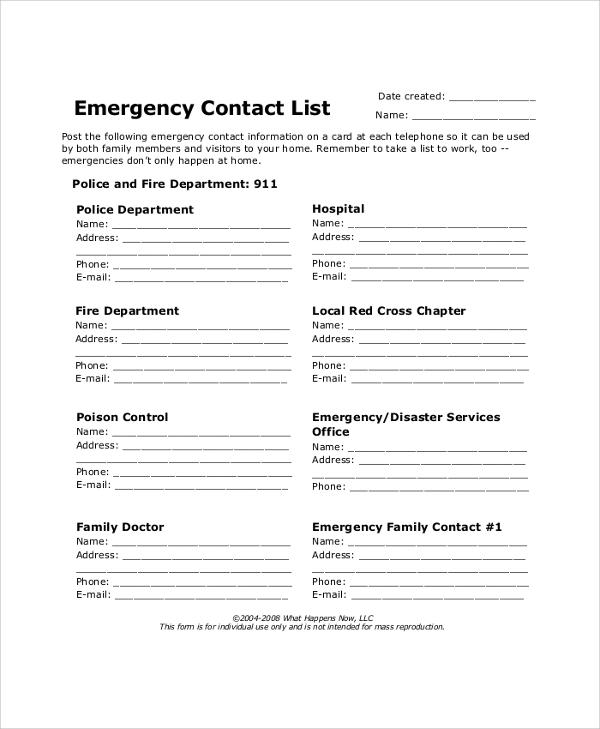 Every person and organization maintains an emergency contact list by mention the relationship or designation of the person name and contact number. In offices, it is useful for strangers to understand whom to report to address their problems. 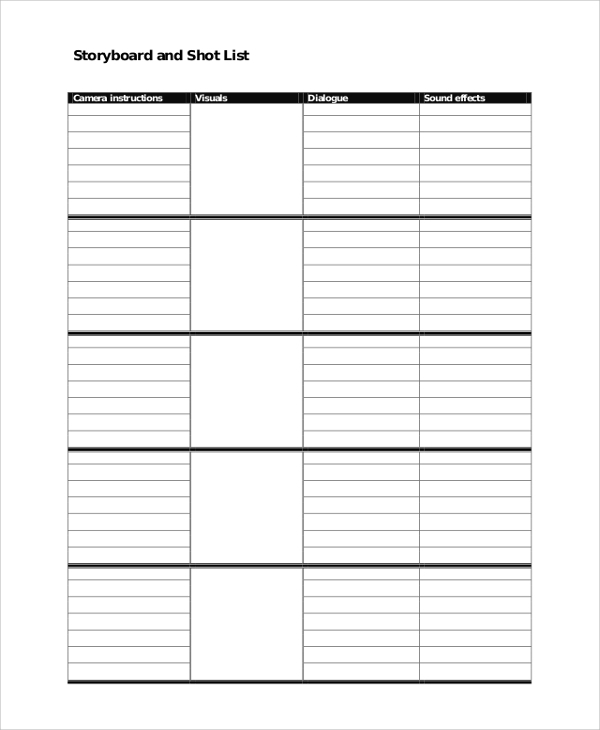 This is a completely blank list with beautiful outlines. 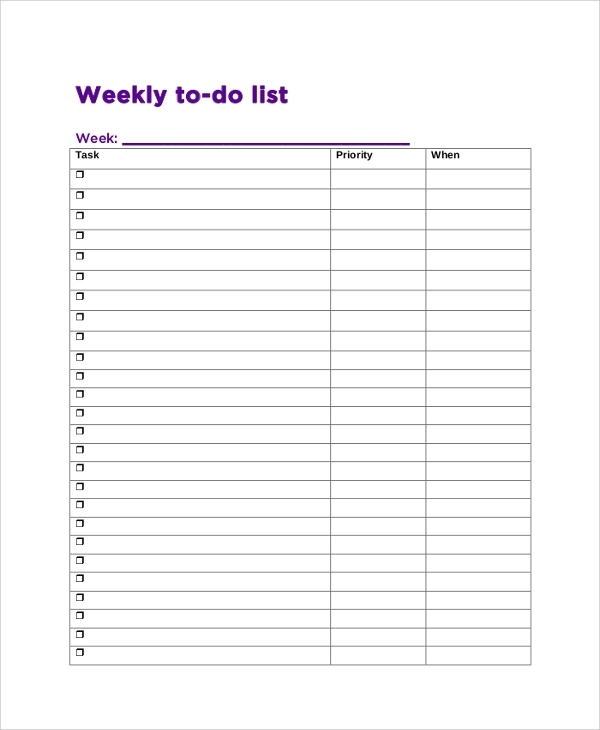 It can be used as to-do list or to write do items names to buy. It can also be used to plan a meeting and write down the guest’s names and several other miscellaneous purposes. 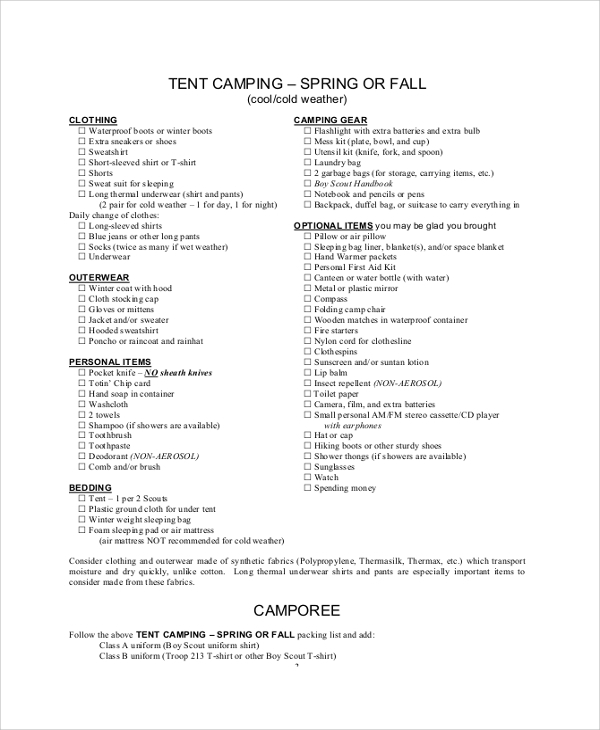 This sample camping list contains all the items necessary for camping activities such as safety items, basic items, accessories, furniture and cooking items, electrical items and miscellaneous ones. It also has provision for writing notes for future such as reminders. 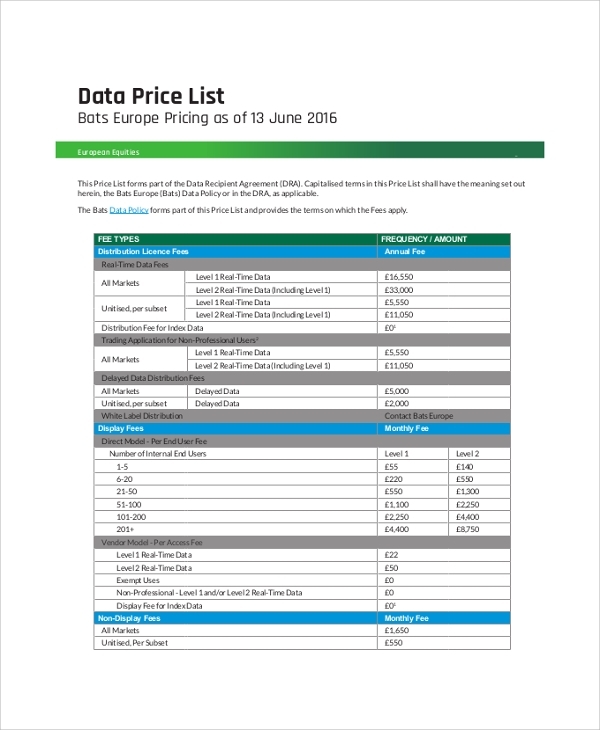 A sample data list contains information and data collected from a survey. 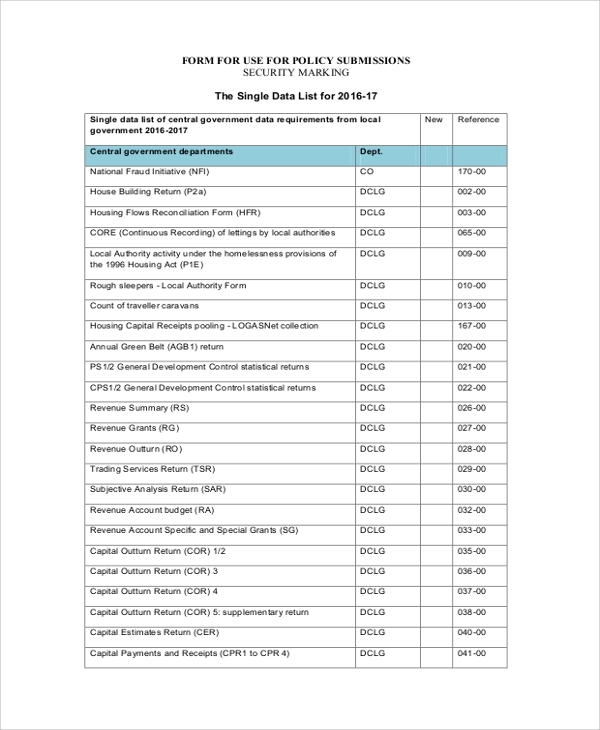 They are also used in policy framing whereby local government sends necessary data and contact information for framing the policy required as deducted from the data. 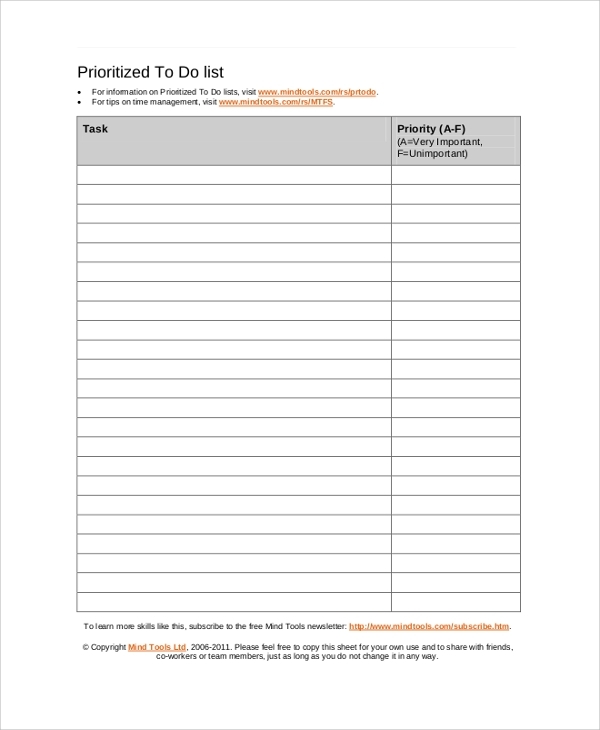 This is a one page to-do list format for any individual to plan his or her daily and tasks beforehand and then smoothly execute them. 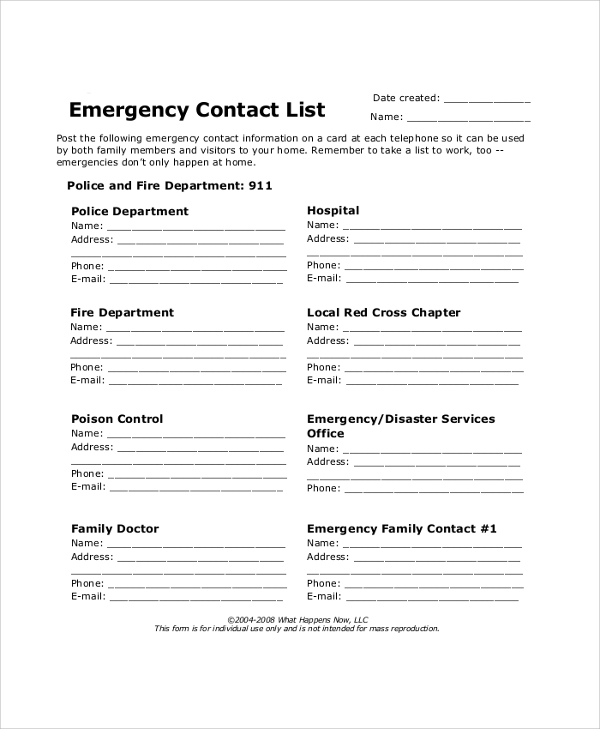 It will help them to keep track of the work they must do and never panic in the last moment. 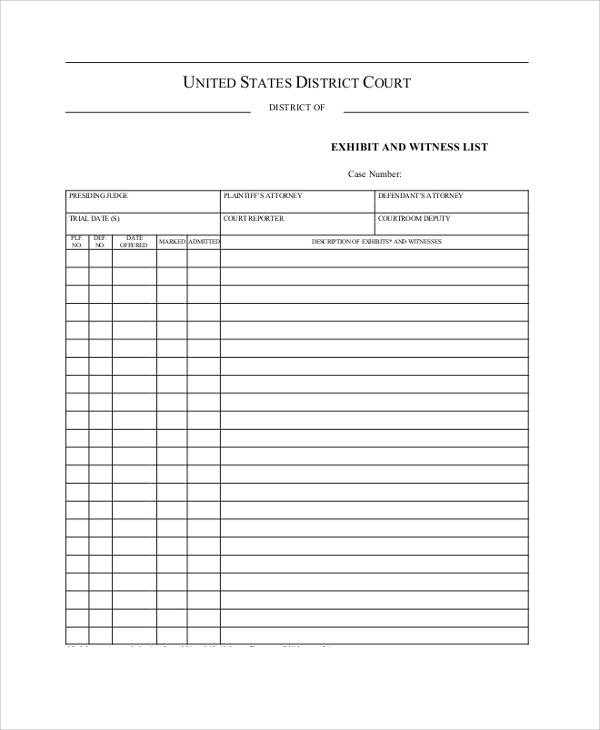 An exhibit list is a legal document that is put before the judge or the jury to understand the evidences for and against the accused person in criminal and civil cases. The evidences can be items, circumstantial and commentary by witnesses. 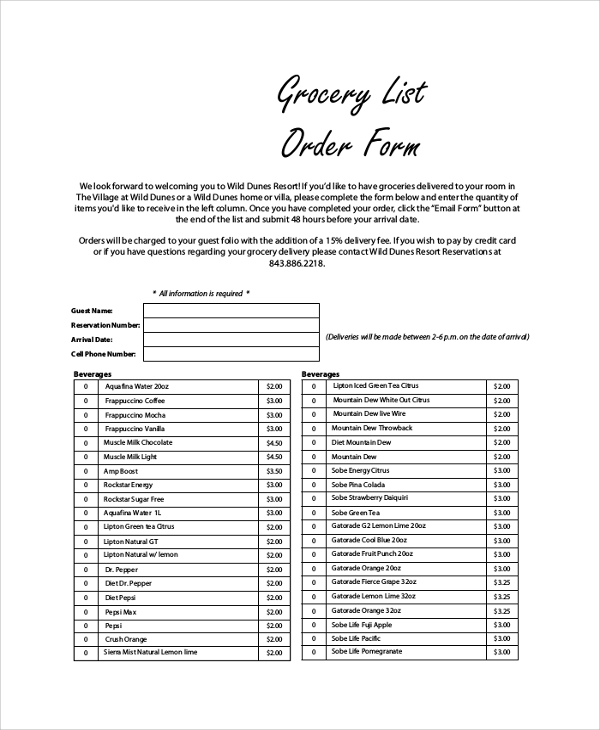 The sample grocery list consists are all the products one needs in daily life under various categories. The categories are dairy, non-veg, fruits, dry food, beverages, canned, frozen and baked goods, paper products, laundry and bathroom product, and others. 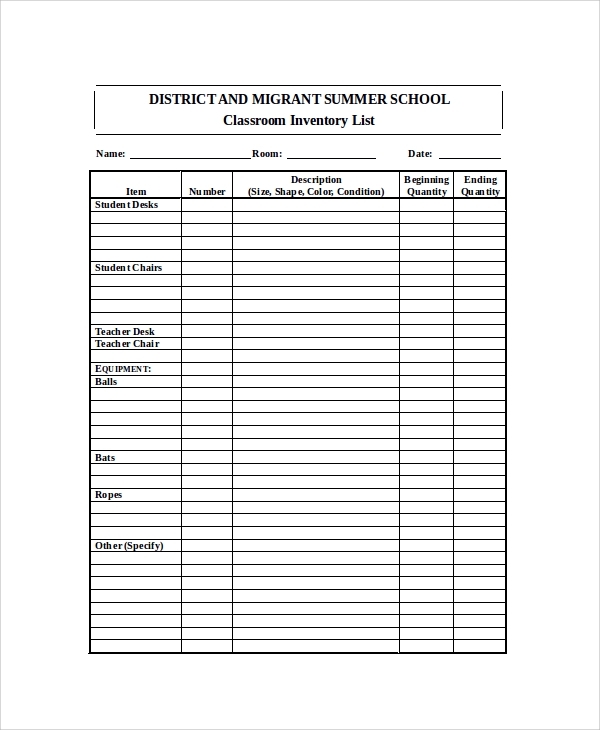 A sample inventory list is very important to main to keep track of the expenditure. 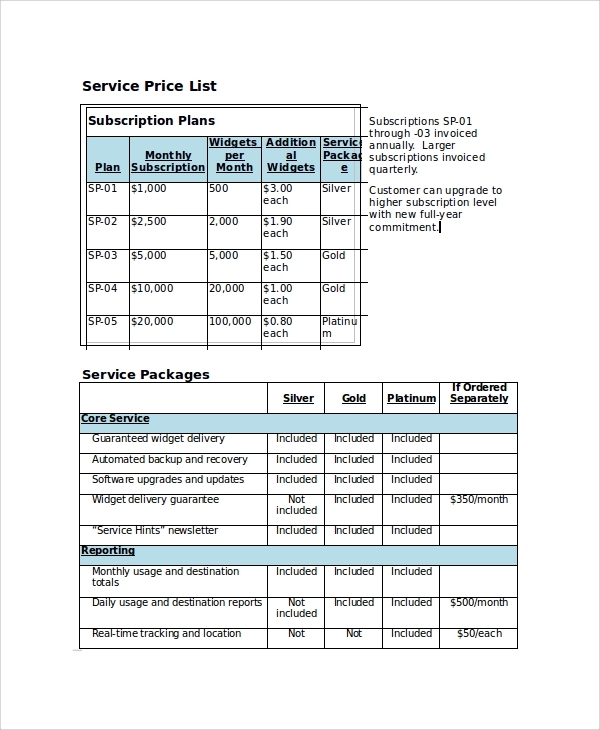 It contains a tabular form having provision for item number, name, description, purpose of buying, purchased from whom, the date and warranty and price. It helps in better audit smoothly. 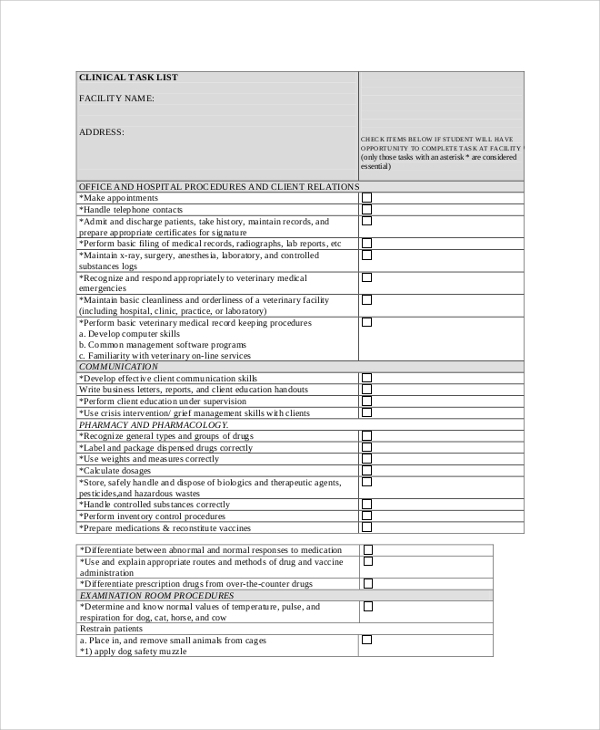 A job reference list is very useful to get a job and score over other competitors. 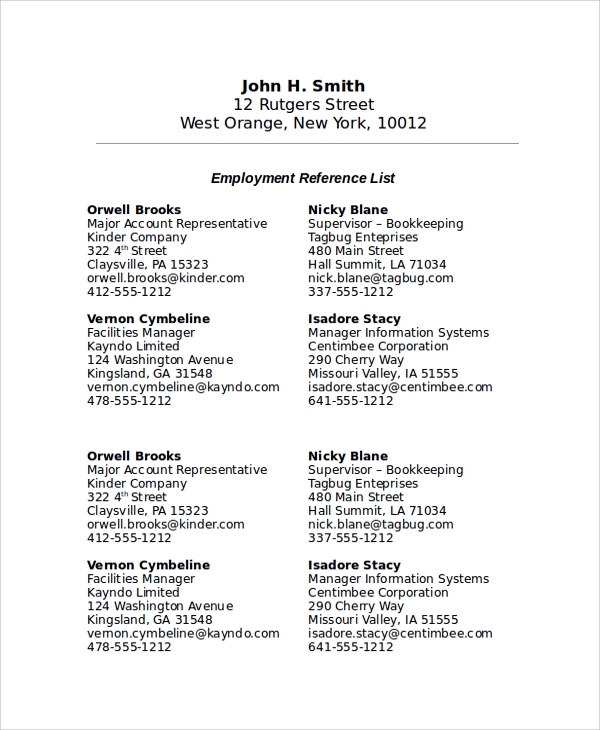 A job reference list contains details of previous employers and noted persons in the field who are recommending the candidate. 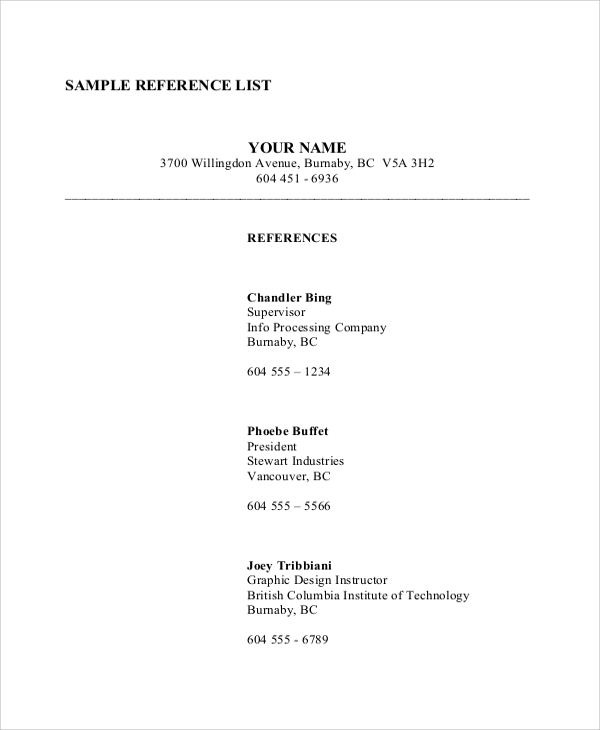 The sample has the proper format and guidelines to make a professional job reference list. 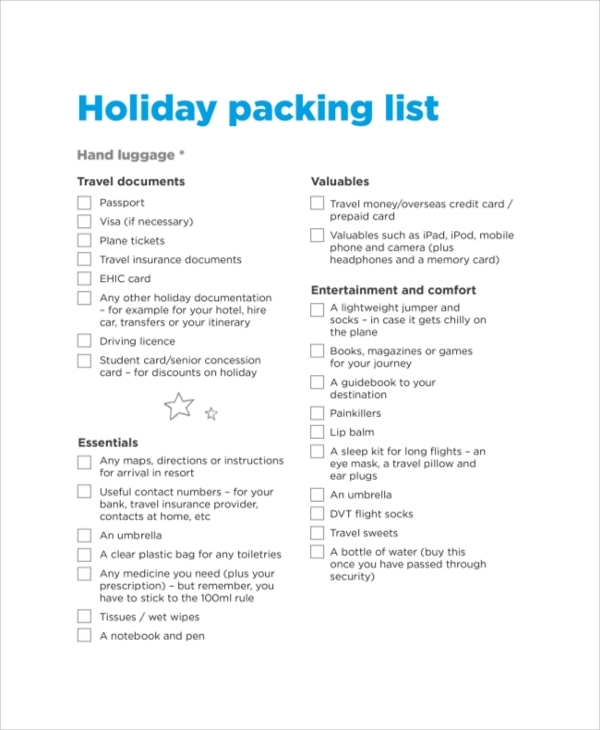 A sample packing list helps to pack all the necessary items in the luggage when someone is going out for vacation. 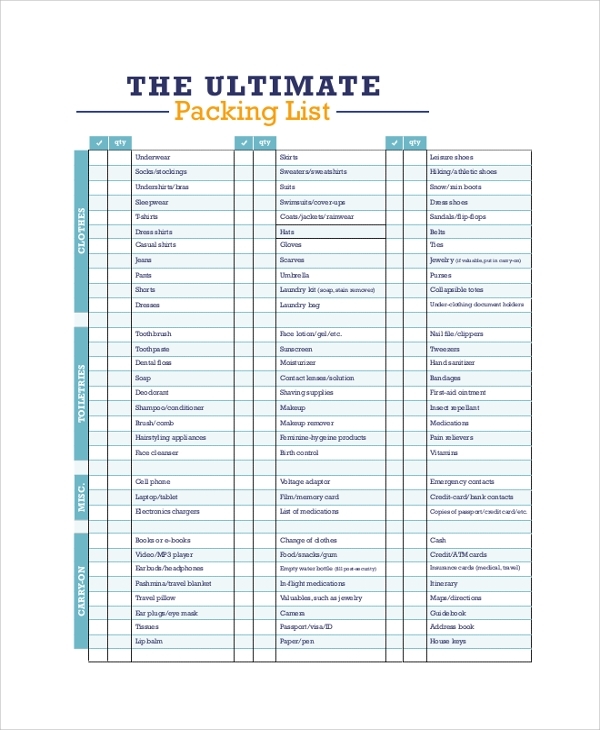 This list will make you pack all the items that you often forget to take. 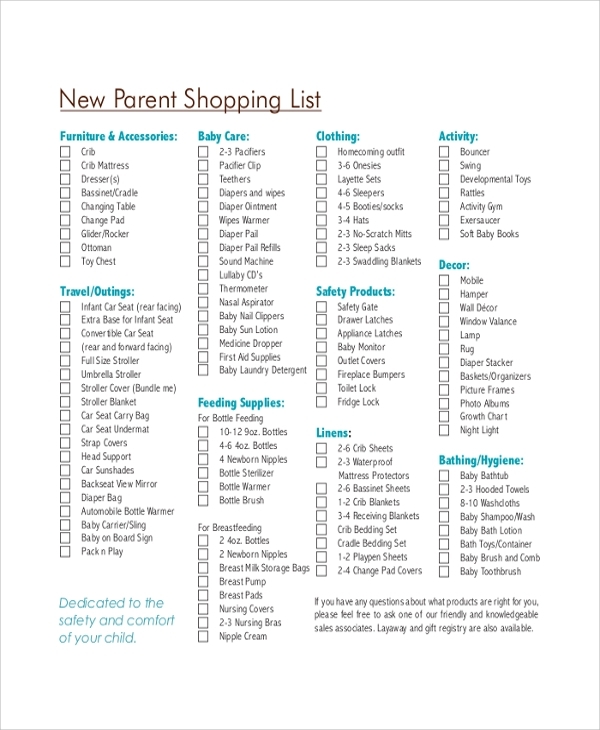 Starting from document to personal health, clothing and other necessities, this list has every little thing. 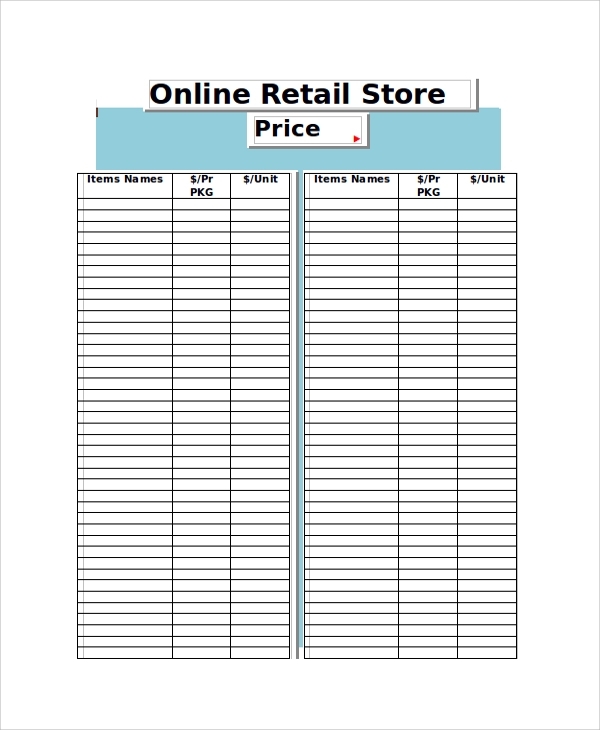 A sample price list is important for any shop or outlet to keep track of the profitable price of the items he or she is selling. It should help them to spot the items they have and maintain a stock so that they can buy the goods which are near shortage. 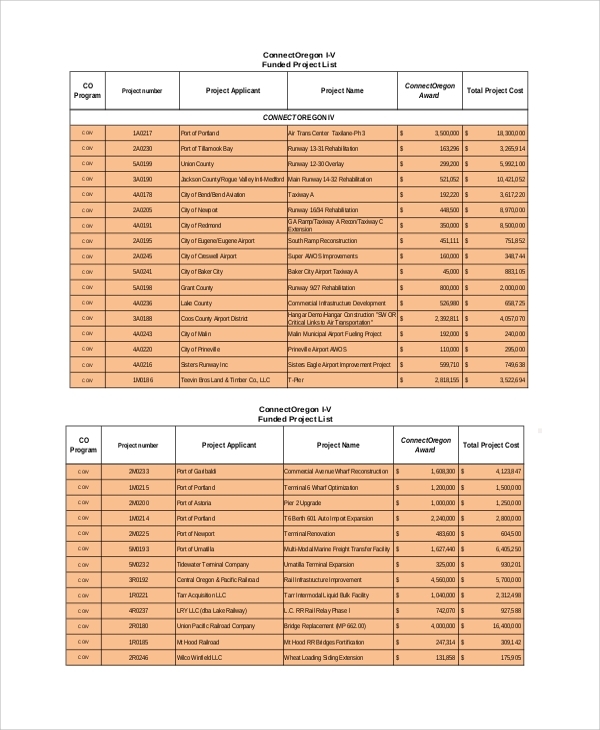 This is a list of the resources that will come handy during execution of different categories of project. It contains details contact number of the organizing people with club name and categories they are specialized in. 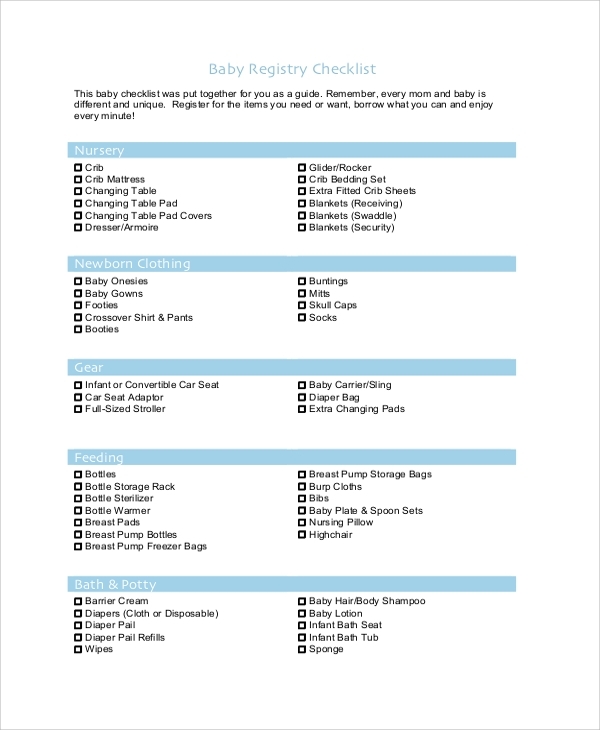 A sample pantry list is very useful for any event organizing company which involves eating out activities. 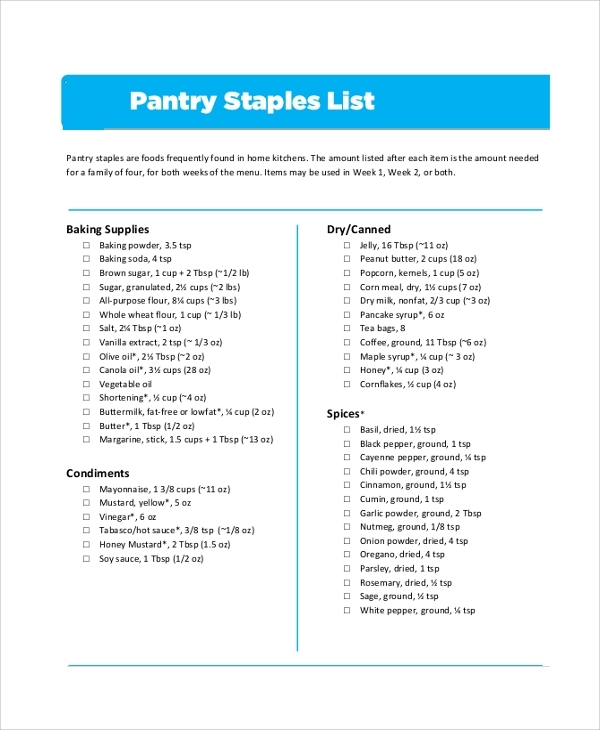 Such pantry list includes the list of ingredients that are required to cook the items for dinner or lunch and it makes sure that you never miss out on ingredients. 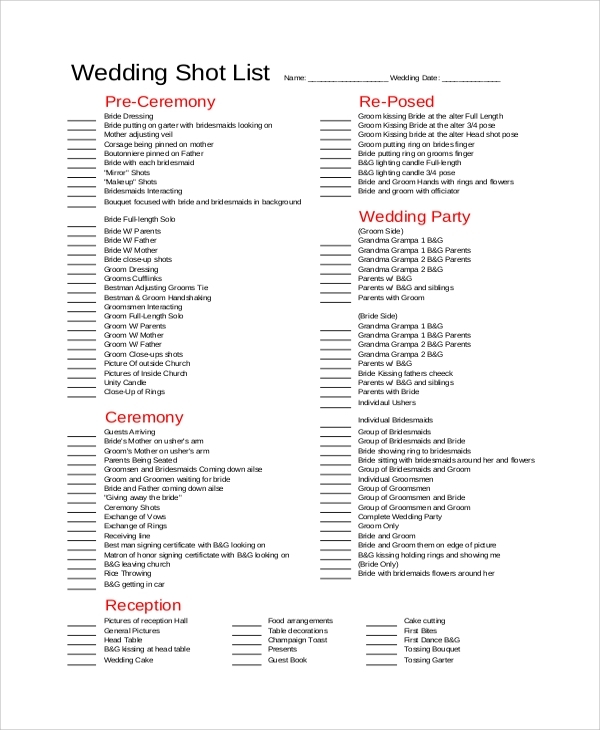 A sample shot list is useful for shooting any video sequence. 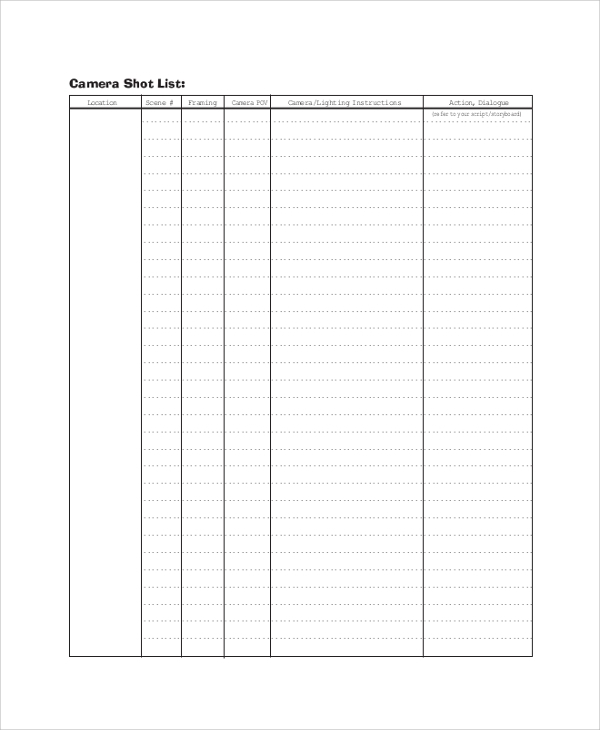 It is helpful to list down the shot number and the actions in them. It also has provision to write down the details of the framing and the director of the same. 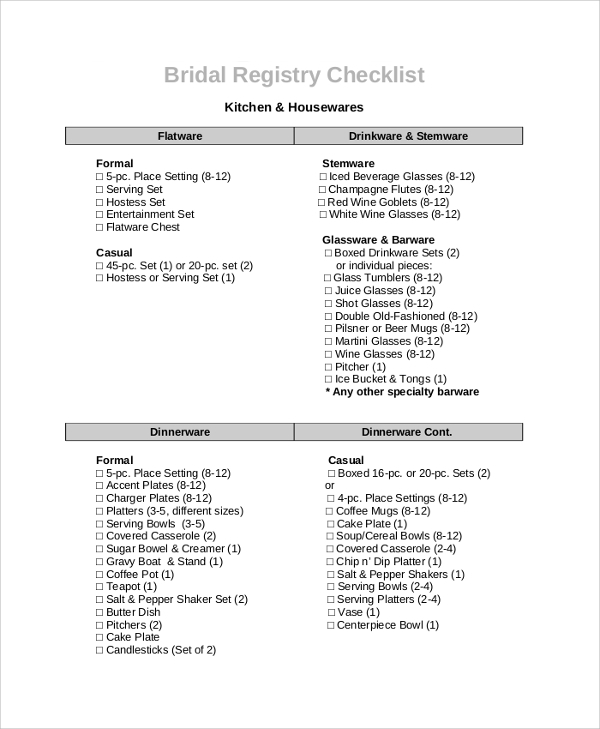 A sample registry checklist contains all the all item names for a dinner event. Starting from cookware, home decor to flatware and table linens, everything is there on the list. 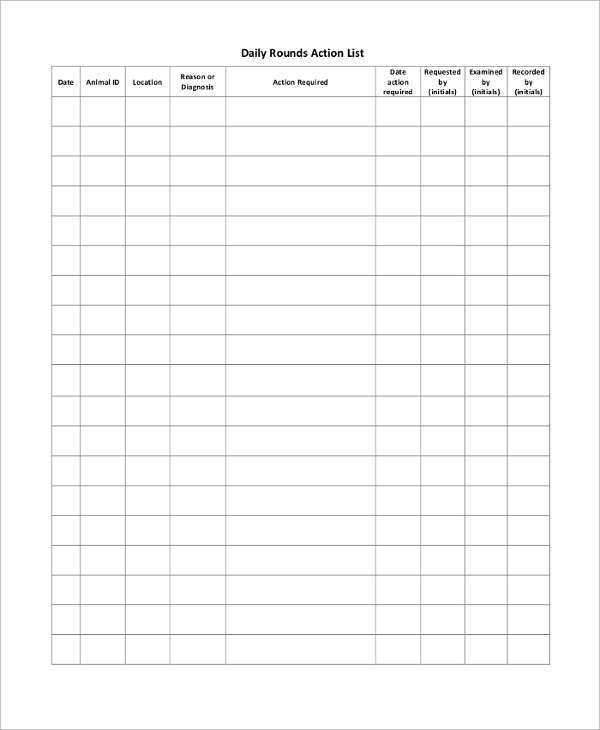 It is very useful for any organizing hotel and restaurant to keep track of things. 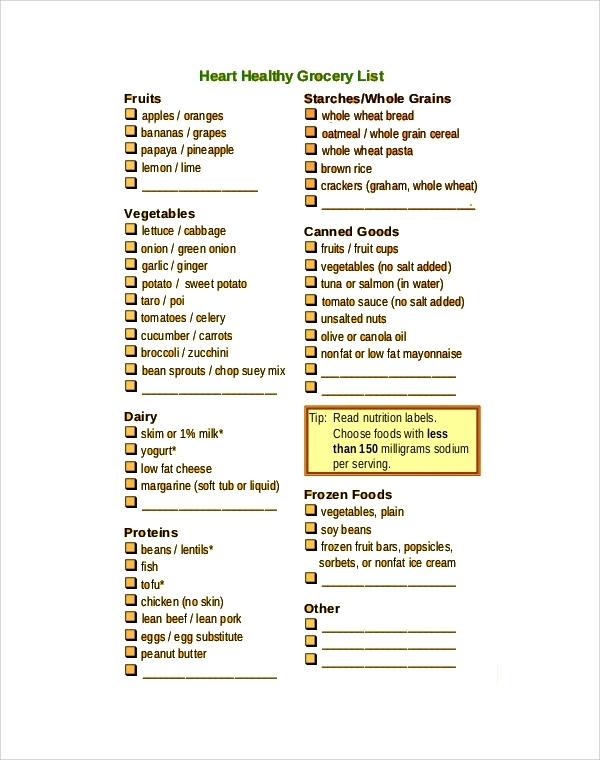 A sample shopping list is always handy while going out on a shopping that is meant to be a weekly or monthly shopping. 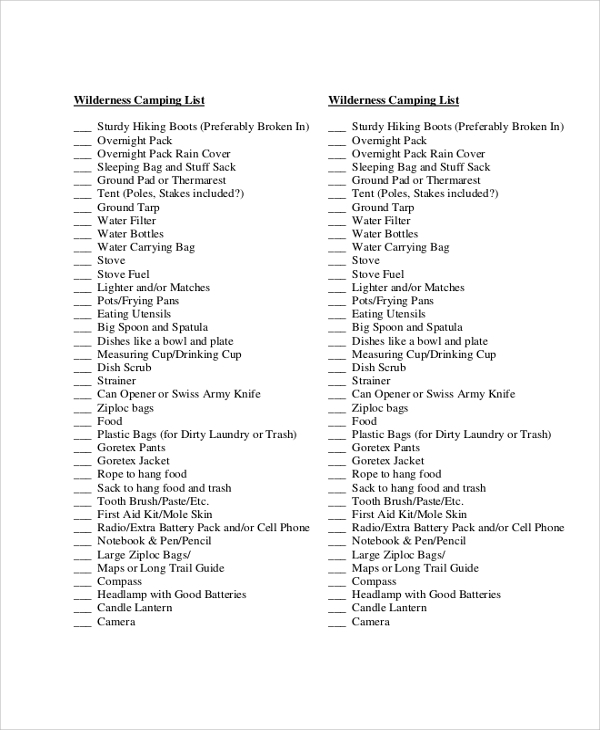 It helps to remember all the things one must buy with items names and checklist. 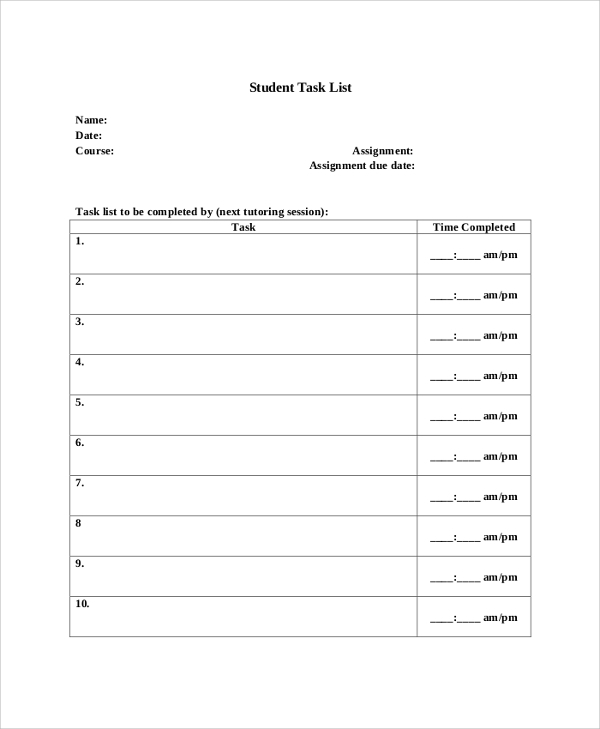 A sample task list is important for project planning and execution. 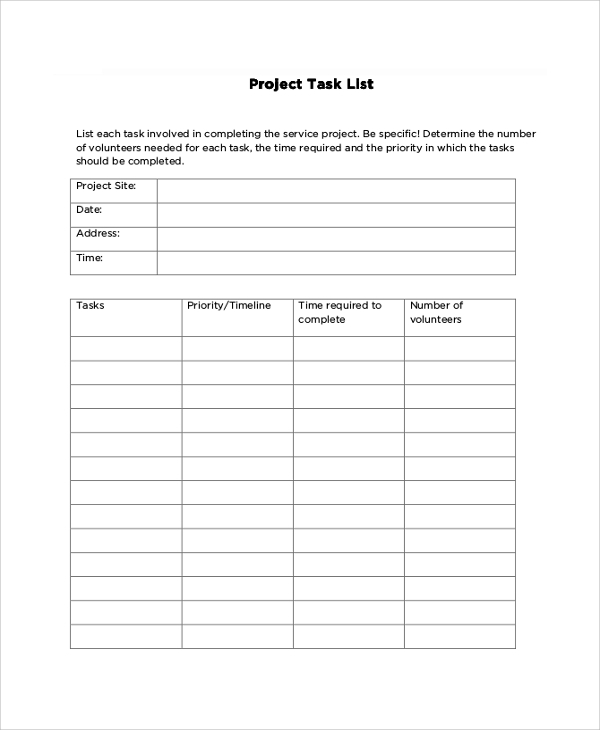 It contains tabular form for project site, date of commencement, the tasks to be achieved, priority and timeline for them, and the number of members who should execute the task. 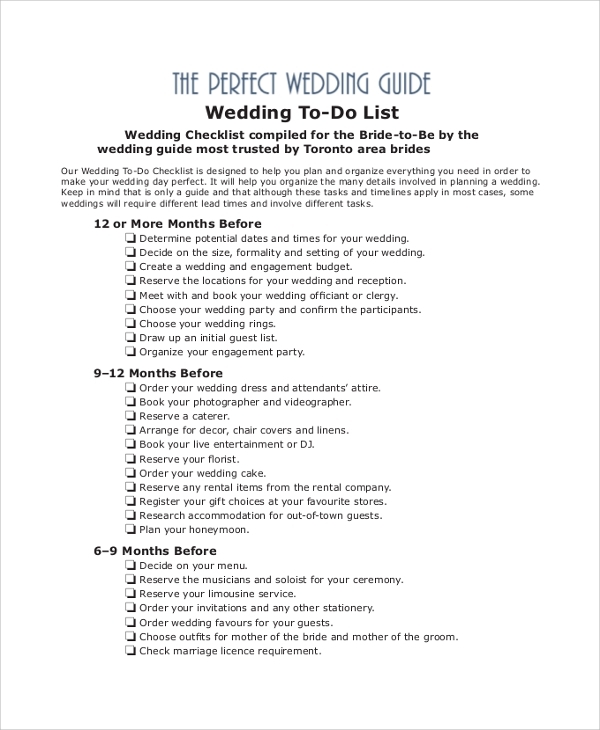 A sample wedding ceremony list is very important as there are chances of missing out particular items. The list contains stationery, ceremony, reception products, attire, transport, photos, flowers, gifts, honeymoon and miscellaneous items. Human beings cannot rely on their memories because they often forget the things in the crowd of stress and pressure. 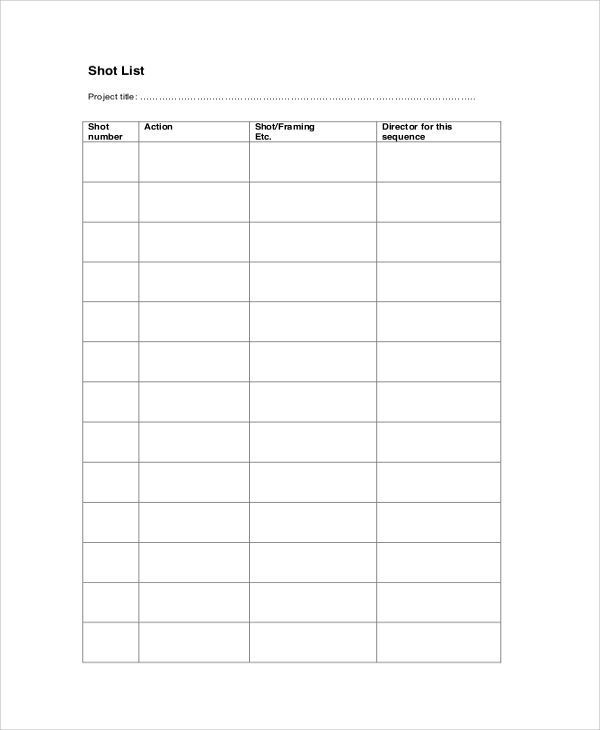 It is always useful to maintain a ready-made list which they can check out during performing a corresponding activity to never miss out a product, items or ingredient. In prestigious event, it is very critical to have all the items to make the event successful or for life events like traveling, camping and baby care, people are not expected to be experienced enough to manage everything aptly. In such cases the above-listed lists are super handy to keep your reminded of things to buy, carry and have at possession. The targeted audiences for the above lists can vary depending on the usage. 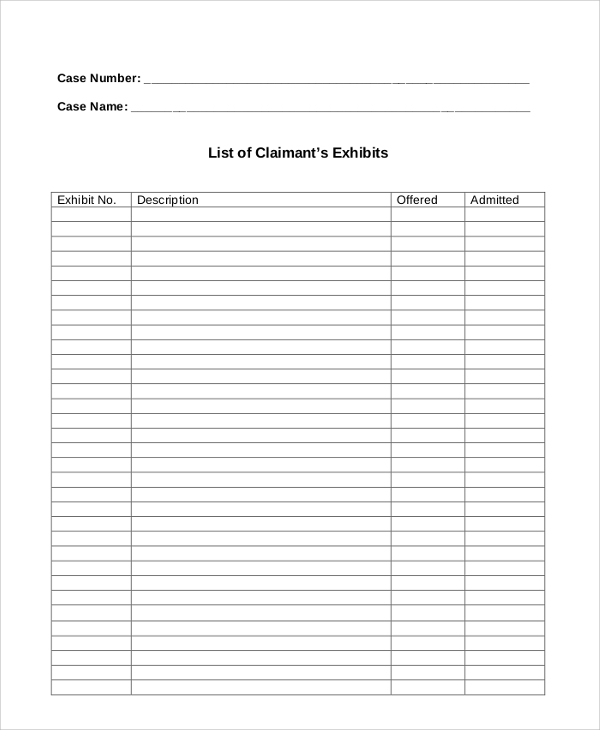 Exhibit lists are required by the policemen, wedding list is useful for every family, baby list is helpful for new parents, travel and camping list are for the new travelers who are planning vacation. 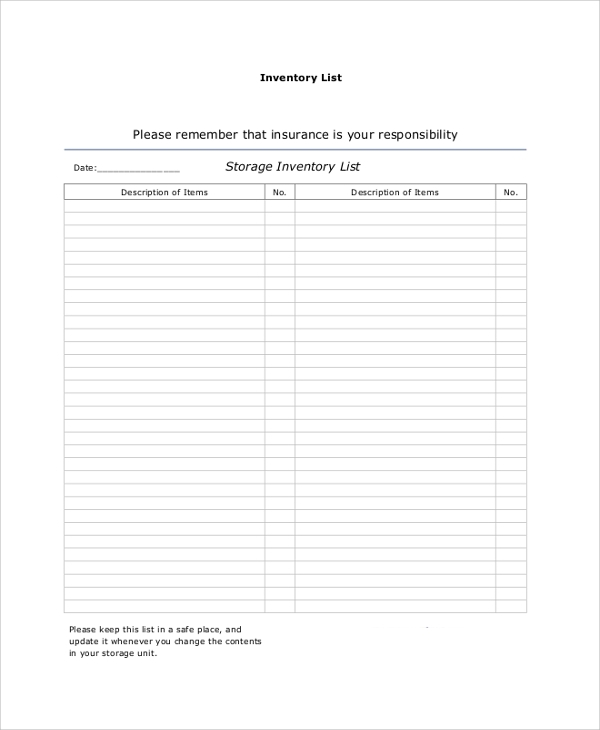 Similarly, inventory and action list are important for any company. 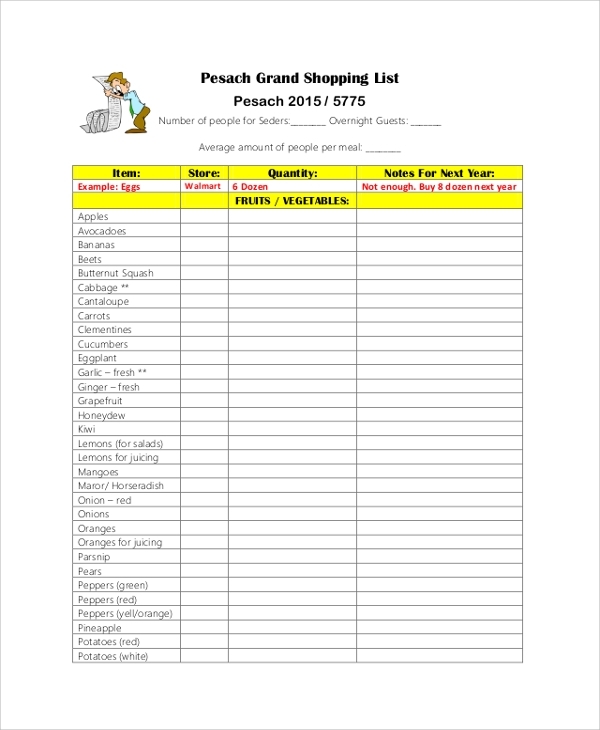 Price list is mandatory for stores, so is the pantry list of restaurants. 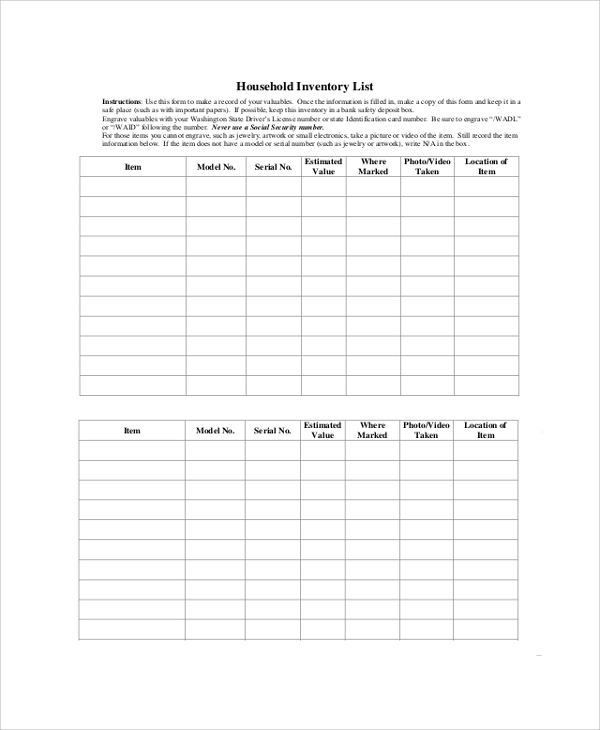 The above-listed sample lists contains different categories of ready-made list such as action plans for an event, travel list for items that one must carry, wedding list and lunch or dinner list for ingredients required for the event, to-do list, contact list, shopping list for daily life, inventory list for companies, exhibit list for legal purpose and so on. They are highly useful in their field of application.